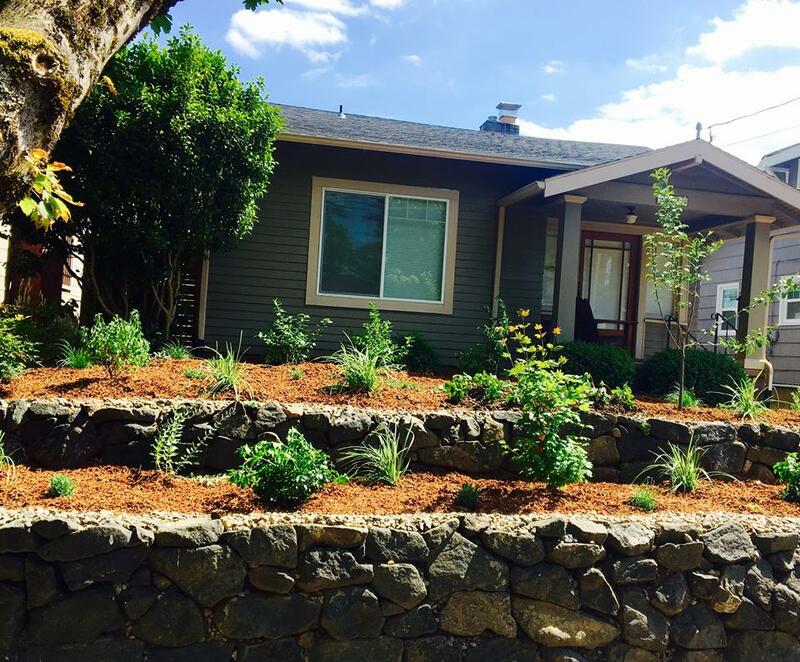 A great way to utilize potential growing space in this classic Portland style front yard! We believe that food and flower gardens can be planted together and not kept in isolation. 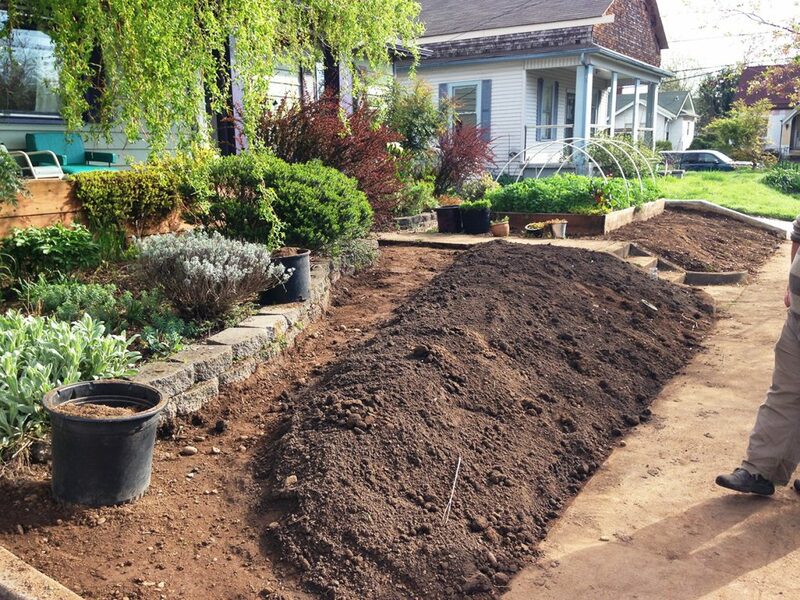 Inter-planting flowers and vegetable does more than pretty-up the veggie patch. Integrating flowers into your vegetable gardens or growing vegetables in with your flower borders can be fun and beneficial. Dan has done a number of projects for my yard, and has been a joy to work with. He is patient with my countless questions and comes up with solutions and suggestions that specifically respond to my particular priorities for each project, whether they regard cost, ease of maintenance etc. He is honest, straightforward, laid back, and thorough. I highly recommend considering him for your landscaping needs, large or small! We enjoy nothing better than to remove lawns and replacing them with food and flowers with the desire to create more bee loving plants, and to increase food supply. 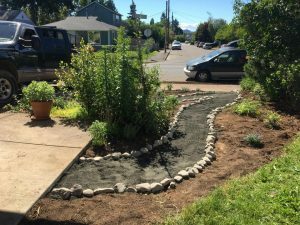 Lawns are environmentally unfriendly and in Portland they have become a haven for weeds. The front yard is the opportunity to create an edible paradise, a location to start conversation with your neighbors, and place that you are happy to call home. Our goal is to make front yards -as the front door of your home- habitable, fruitful, beautiful and welcoming.